It is said that over 5 trillion pieces of plastic litter the ocean and accumulate into five circulating currents called gyres. Plastics can be found in all five main subtropical gyres. If left alone, the plastic will have a devastating impact on the ecosystems in the ocean and on the whole planet. Plastic is not biodegradable. 2. Replace plastic water bottles with stainless steel water bottles. 3. Avoid the use of all disposable plastic straws, cups, plates, etc. 4. Choose matches over plastic lighters. 5. Select toys, furniture and household items made from natural plastic alternatives such as bamboo and hemp. 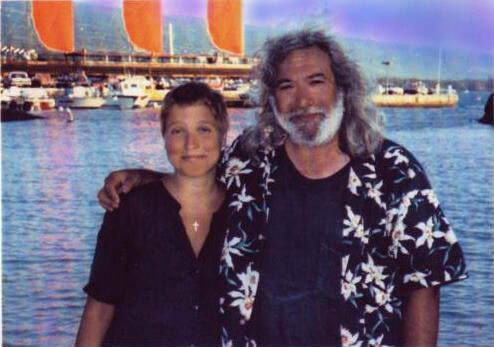 Jerry advocated for coral reef preservation. Coral reefs are vital to the ecosystem and are considered the "rainforests of the sea"
Jerry testifies at hearing before Hawaii's Board of Land and Natural Resources, Jerry Garcia spoke as a diver encouraging the State of Hawaii to help protect the coral reefs by permitting the Day-Use Mooring Program. Thanks in part to Jerry's celebrity and media coverage, the program was soon approved.